Sri Lanka is emerging as the hot spot for human resource and other industry recruitment processes. Having abundant numbers of experienced candidates across industries Ajeets holds the key market in offering overseas jobs from Sri Lanka. We are one of the leading manpower consultancies in Sri Lanka, having a global clientele. Our office at Sri Lanka serves as the gateway for candidates from the country to be placed with Gulf & Middle East employers in various sectors. Sri Lanka is an island nation in Indian Ocean in the indomalay zone. 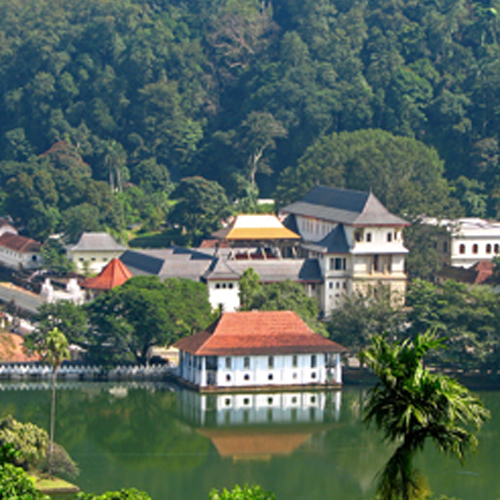 It is famous for its plantation economy since the colonial period. After independence from the Britain in 1948, it has become renowned for export of cinnamon, rubber and Ceylon tea. After the end of the 26-year conflict with the Liberation Tigers of Tamil Eelam, the government has been actively working on the reconstruction and development of infrastructure. With agriculture still being the major contributor in GDP, other industries such as processing of rubber, tobacco and tea have spurred into the growth. The other major industries include insurance, Accounts and Finance, Construction, shipping, oil and gas and IT services. These sectors are still growing and demand for high skilled labor in these field are growing each passing year. The service industry is rapidly growing with the labor percentage of 41.2% (June 2012), leaving agriculture (31.8%) far behind. The growing economy has created a vast opportunities for investors and industries and a major skill shortage. With categories such as the health and construction services already feeling the shortages. Ajeets helped countless of clients around the globe to meet their manpower needs. We have a large pool of potential clients for every job opening you have, be it top position like directors or bulk manpower we have the solution. With us you will not only assured that we find the right candidate for the job but also someone who will be aligned with your company vision and goals. You can safely leave your manpower needs to us and rest assured that we will find the right fit. Oil & Gas, Hospital & Healthcare, Catering & Hospitality, Power Plant, Civil & Infrastructure, Manufacturing Plant, Facility Management, Security services, Marine and Shipping along with plenty other industries recruit large numbers of employees from Sri Lanka, as we offer them a gamut of solution that meets their needs. Our Sri Lanka branch representatives are always on the go to assist you for the various recruitment processes being carried out round the year. Mr. Nihad Mohd. Hashim, managing Director of Sri Lanka, has contributed a lot for the company's growth that helped us render better services. You can get in touch with us to hire new resources for your company and grow your business further. For Sri Lanka based jobseekers, now getting a job in the gulf & Middle East is no longer a far stretched dream that you are unable to reach. We give wings to your dream jobs and let you soar with an international job opportunity.